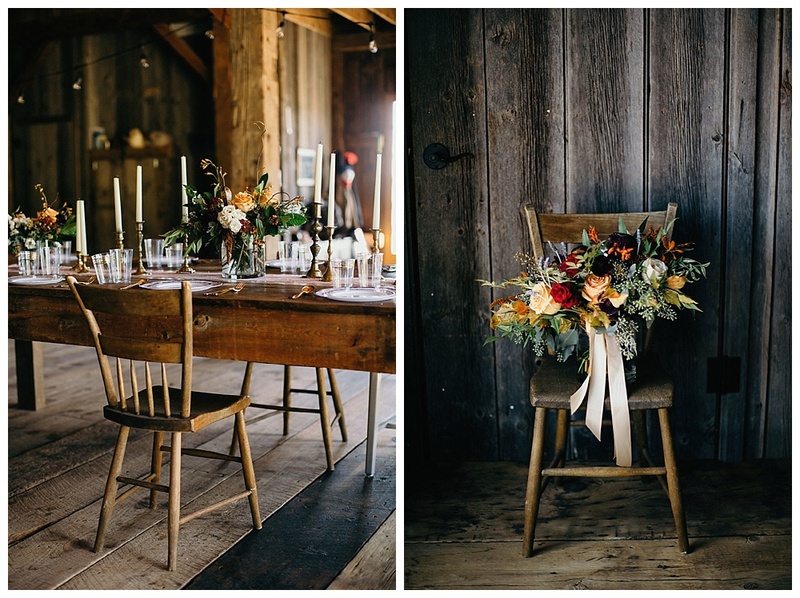 I was so excited when Angela reached out to me to help her design her florals for her wedding. We went to high school together and were track teammates! 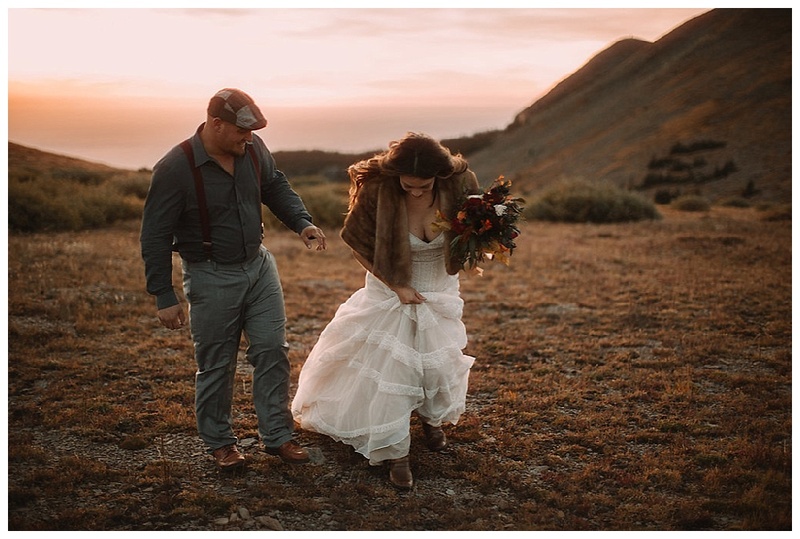 She moved to Texas several years ago and wanted to elope "home". 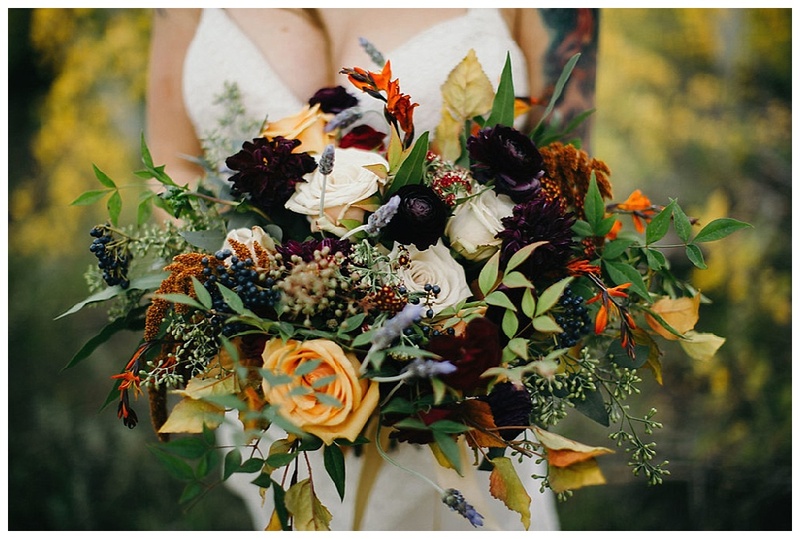 She had an amazing color palette and let me have creative freedom with flower and foliage choice. 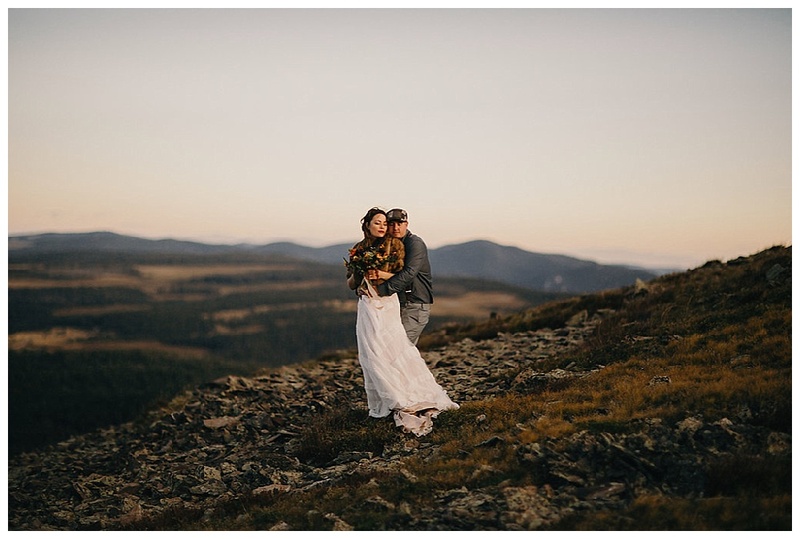 They said their vows on top of a mountain at sunrise (so, so cold that morning), and then had a ceremony with family, and followed up with a fun dinner at a barn airbnb in Westcliffe! Thank you Angela and Drew for including me in your day. 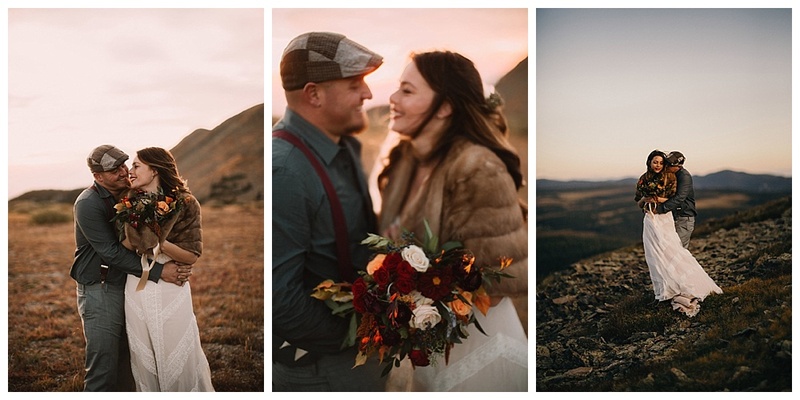 May your lives together be so blessed. 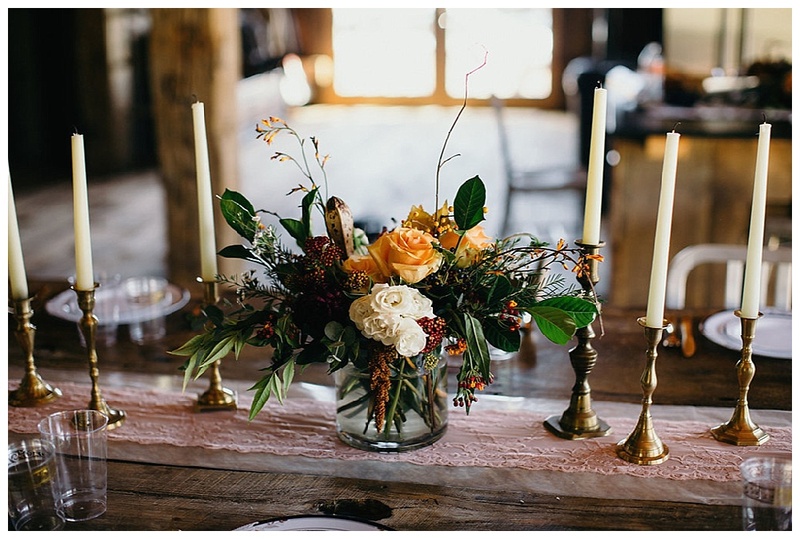 I loved how she mixed rustic wood and metals with rich colors and texture. 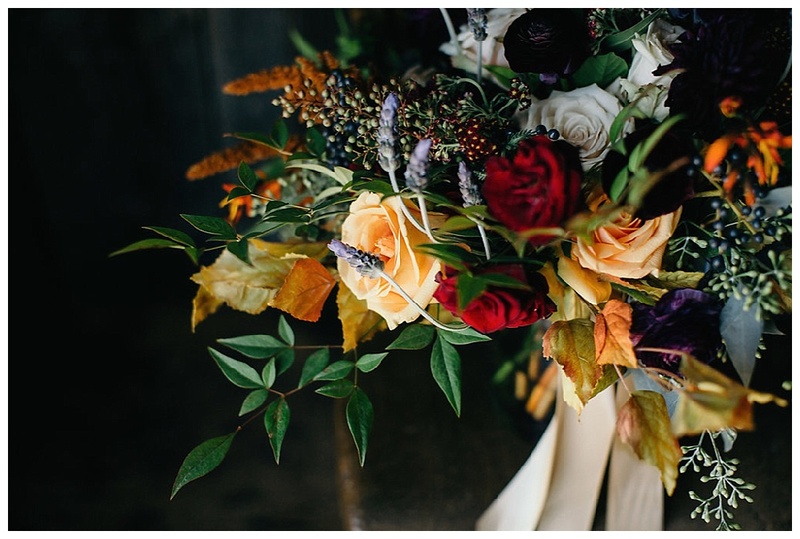 Her bouquet included roses, ranunculus, dahlias, lavender, crocosmia, hanging amaranthus, seeded eucalyptus, and nandina.